Renewable energy is energy that is replenished by nature itself. Unlike fossil fuels, renewable power sources will never be exhausted. This form of energy is also known as "green energy" because it can usually be harnessed without creating lasting harm to the planet. Rather, people can use it in a way that is completely in harmony with nature. Green energy normally produces little pollution, so even larger energy-producing operations can have limited environmental impact. For all these reasons, green power is also called "alternative energy" — an alternative to fossil fuels. Some examples of green power include wind, solar, and geothermal. One of the reasons people might integrate renewable energy into their homes is to reduce their carbon footprint. The carbon footprint is a measure of how much carbon dioxide a household contributes to the atmosphere. Scientists who study climate have come to a consensus that the rising concentration of carbon dioxide and other "greenhouse gases" in the atmosphere is associated with higher average temperatures on Earth. These gases work to trap solar radiation within the atmosphere, thus influencing how much heat from the sun becomes locked up in Earth's vicinity and affects the planet's surface. If many people decide to embrace renewables, it could make a significant impact on the amount of greenhouse gasses in the atmosphere. However, there is another good reason to consider green energy: cost. After an initial investment, these sustainable energy sources can often produce electricity at a cost significantly lower than what consumers pay traditional utilities. In many places around the world, owners of solar panels or wind turbines are able to "sell back" energy to the local utility. They might also receive tax breaks or other incentives. One of the most common forms of green energy homeowners implement is solar energy. Solar panels work by capturing the sun's rays and converting their energy into a form that can be used by ordinary appliances. Smaller solar panel systems are intended to charge batteries, which are then used to power household items. Larger solar panel systems can be tied directly into the home's electrical wiring and to the local electrical grid. When the sun is shining, large systems generate extra power that a local utility buys back from the owner at a negotiated rate. At night or during cloudy weather, the home might draw on the utility's electricity at the usual rate. The PACE program enables consumers to enjoy the benefits of solar with minimal upfront cost. As homeowners continue to explore the benefits of renewable energy, it has the potential to reduce air pollution and other problems associated with coal and oil-fueled power plants. It can also give homeowners greater freedom from and influence over the cost of energy. Although a renewable energy system suitable for the home can be a major investment, subsidies are available that can reduce the initial costs. Likewise, solar power is becoming more affordable with each passing month. In the near future, homeowners might find that it is easier than they ever imagined to help preserve the environment while saving money. It was not that long ago when many forms of renewable power seemed like science fiction. Now, sustainable, natural energy is rapidly becoming a vitally important part of our lives. 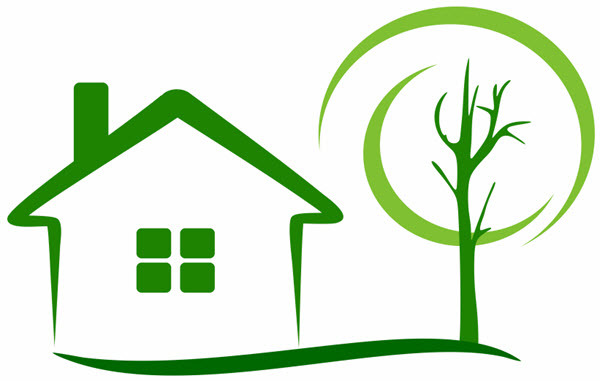 Using green energy can raise a home's value while reducing its cost of ownership. Plus, it is a great way to contribute toward a better future for one's community and, ultimately, all life on Earth. Smaller solar power systems, such as the kind intended for use on a water heater, can be a first step toward a green future of cleaner, much less expensive energy. Renewables Information from the Department of Energy: A comprehensive site providing an introduction to all of the different forms of renewable energy. National Renewable & Clean Energy Laboratory: One of the most important centers of energy research in the United States. All About Clean Energy from the Environmental Protection Agency: Clean energy facts from the federal agency in charge of reducing pollution. Free Carbon Impact Calculator from the Nature Conservancy: A handy calculator for determining your own carbon footprint. Green Power Initiatives and Information from the Small Business Administration: Facts and figures for entrepreneurs and small business owners. Energy, Climate, and Environment Information from the White House: Official policy information direct from the White House. Database of State Incentives for Renewable Use: A guide to incentives and policies that can help homeowners and business owners expand their use of renewables. Sustainability Summit and Expo: One of the biggest international meetings of those involved in sustainable, forward-looking energy policy — including homeowners. Alliance for Renewable Energy: An advocacy group that seeks to expand incentives for using solar, wind, and other fossil fuel alternatives. Our Green Future By Consumer Reports: Sustainable energy resource by Consumer Reports, including the latest news and policy pieces. Natural Resources Defense Council: Renewables: Provides detailed insight into the different natural resources that are renewable. Short-Term Energy Supply Outlook for the United States: Official report from the U.S. Energy Information Administration discussing the renewables market. Understanding Renewable and Alternative Energy: Provides important definitions as well as data on biofuels, solar energy, and wind power. Stanford Releases Plan for 50-State Transition to Renewable Power: Recent report on a comprehensive, 50-state plan to completely transition away from fossil fuels by 2050.